Posted on March 25th, 2018. Filed under: General News, Infants & Toddlers Articles, Room One Articles, Room Two Articles. 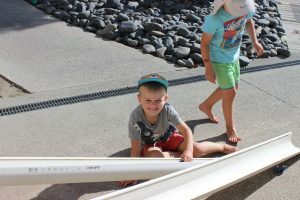 You may have already heard of the Theory of Loose Parts from your child’s teachers, but here’s a brief overview of what we’re talking about. At Building Blocks we are continuously evolving our learning programme through incorporating this theory. What is the Theory of Loose Parts? Nicholson believed that creativity and innovation are the product of an environment where children are able to interact with many variables (materials, shapes, sounds, smells, plants, animals, concepts, other humans, etc. ), rather than born traits of the ‘gifted few’. Loose parts enable children to “play, experiment, discover and invent and have fun,” creating a world of their own. If exposed to such an environment, children would grow into imaginative, resourceful and inventive adults. How does this work in early childhood education? Children are provided with toys that are open-ended and can be used for many purposes. 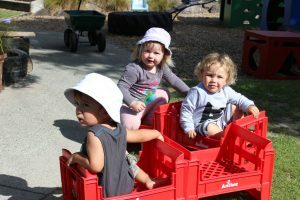 They can take part in the creation of their own environment and generate a space where play and learning are the one in the same. At Building Blocks we have our “loose parts” spaces in both the indoor and outdoor environments. These locations are where we set up and return the different parts, but the children are able to collect, construct, create and transport these items around the centre. The freedom to move adds to their dramatic play and building experiences. 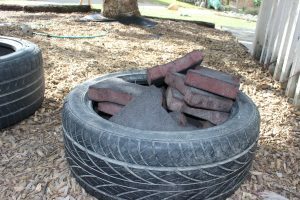 Loose parts can be natural or synthetic, and can be large or small. We have many natural items for the children to use in both our indoor and outdoor environments. From pebbles to rocks, and feathers to toi tois, there is always something new. 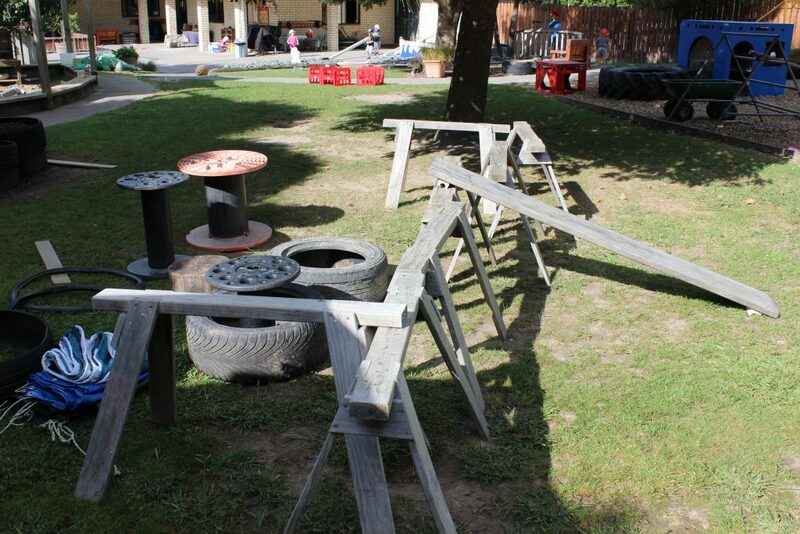 We are constantly adding and changing the items we provide, to extend the children’s play. Sometimes the teachers add items, and have ideas of what the children will do with them. We have learned that they often use things completely differently. This is a perfect example of the theory in action. The loose parts initiate creativity and imagination on a completely individual level. We also aim to collect synthetic loose parts from our homes and our children’s homes. 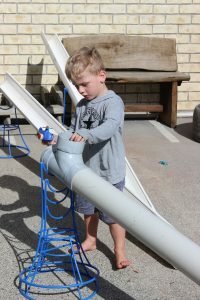 Open-ended materials such as hoses, ropes, bags, boxes and containers all encourage the children to use their imaginations. There are so many different things to collect and use! Our parents often bring in recyclable items like yogurt cups, egg cartons, even empty mint tins. 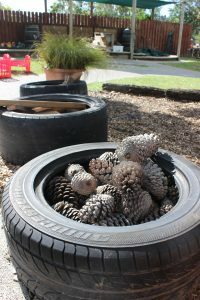 We always want to add to our collection of materials in which the children can use their imaginations and extend their play. If you have any ideas, talk to your child’s teacher, or feel free to bring things in and we will let the children explore. If you see your child walking around with a random item at the centre, we invite you to observe and listen to what they are using it for. It is amazing to see what treasures they can create. What are some examples of the creativity we see?